Clothes get damaged quickly here in Kenya since we wash our clothes by hand and hang them out to dry. I have to admit knowing how to wash your clothes by hand is a handy skill that comes in when you travel (you don’t have to pack as much). 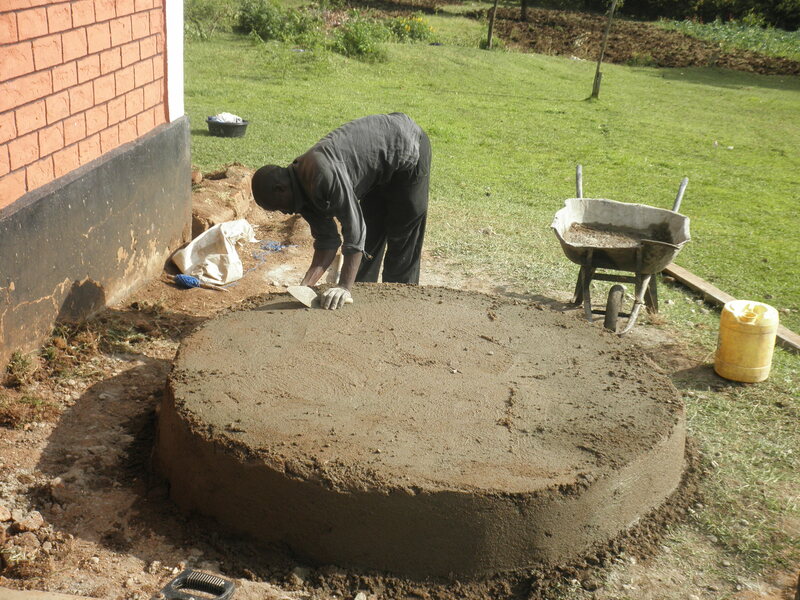 I pour water into a basin (basins are so helpful around here) and add powder laundry detergent. The kiddos use bar soap because it’s cheaper and lasts longer. 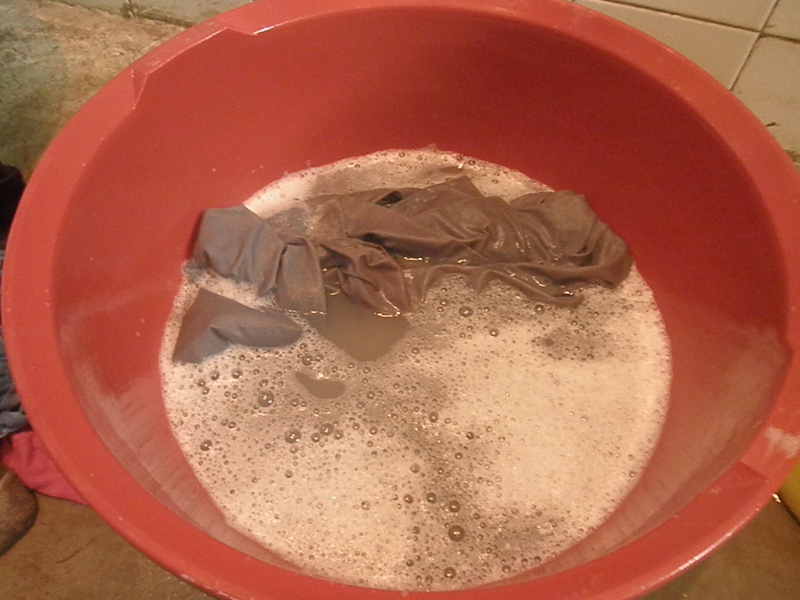 Then rub the fabric of a clothing article against each other to get all the dirt out (hence the reason why clothes wear out so quickly)….make sure you get a good lather. You’re also likely to end up with blisters and rips on your hands afterwards. Empty the dirt/soapy water out and add fresh water to rinse. 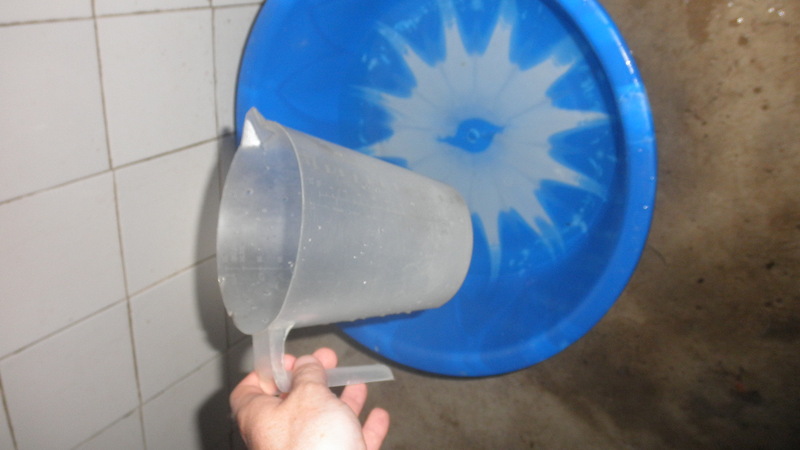 This gets tricky because it’s hard to get all the soap out…..it’s a challenge during the dry season when you’re trying to minimize the amount of water you use. There have been times when I save the soapy water and use it to mop my house floor afterwards….the kids are told to do similar things during the dry season. SQUEEZEEEEEEEE as much water out of the clothes as possible. 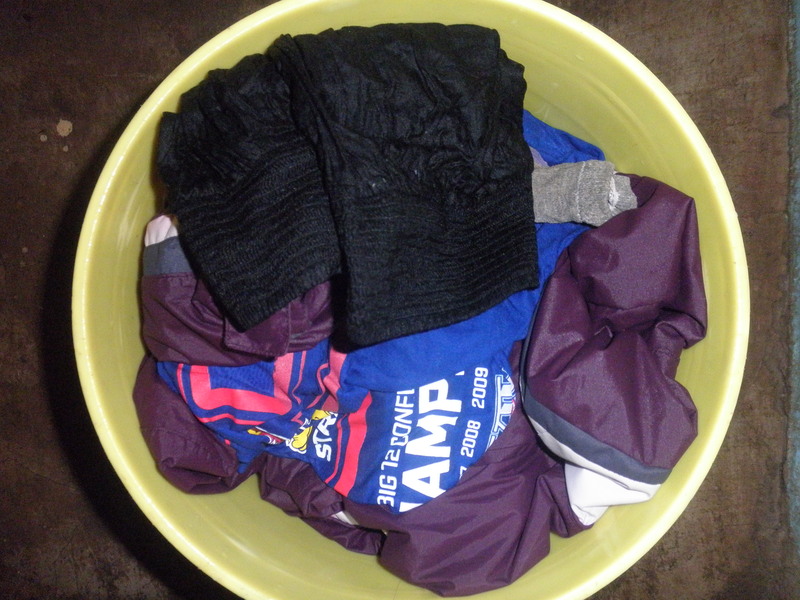 Put clothes into a bucket and take them outside to air dry. Sometimes if I just have a few items, I’ll dry them inside my house by open windows…they dry quickly during the dry season because it’s so humid. Also, undergarments should be dried inside (we were told this during in-service training) to be polite, besides I don’t want my kiddos to see their teacher’s underwear! It’s not always easy to find a place to hang my clothes to dry when school is in session and I prefer not to put my clothes on the barbed fence (like some kids end up having to do) or on the grass/bushes (cows sometimes end up with the kids’ uniforms on their horns). I also usually end up with ants crawling all over my clothes when I bring them back inside. Sometimes during the week when the school staff don’t usually wash their clothes (usually done on the weekends) I’ll end up walking into the clothes wire on my way to the choo. The wire always ends up sliding down the tree to about neck level after a school staff moves it up the tree. 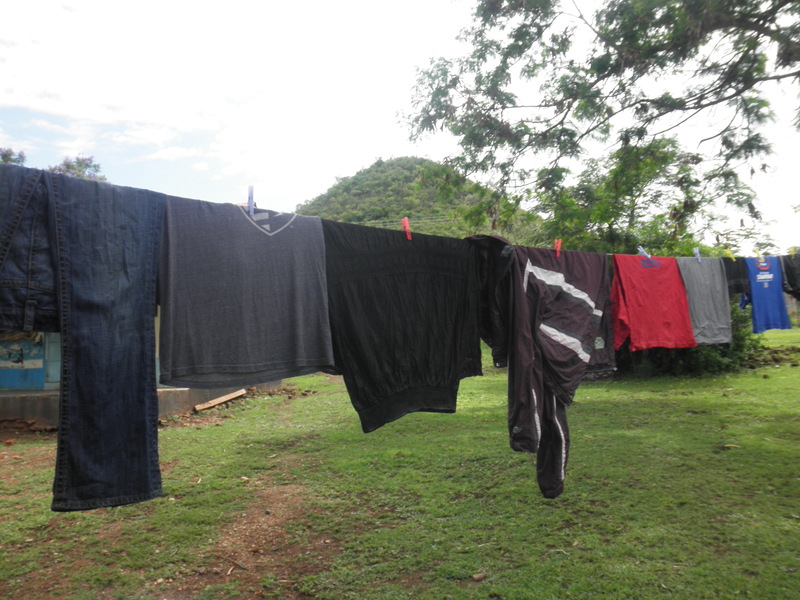 During the wet season, we have plenty of water to wash clothes with but it’s hard to get clothes to dry. It’s not as humid so I hang my clothes outside but sometimes it will be raining. It’s always something! There have been times during the wet seasons that it’s taken days for my clothes to dry completely! Laundry can take a couple of hours to do if you have a full load of clothes. It’s a pain to wash jeans, sleeping bags, and blankets by hand. 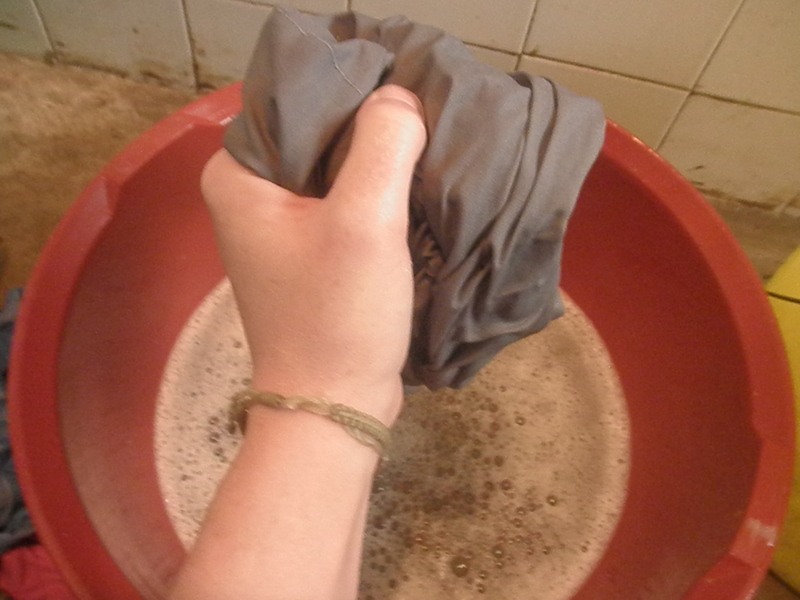 Seriously, everyone should know how to wash clothes by hand…the skill does come in handy. How Do I……Take a Bath? I meant to do a series of “How Do I” posts (maybe 4 or 5 of them) when I first got to my site last year but I never got around to it….so here I go! How do I take a bath in my village? 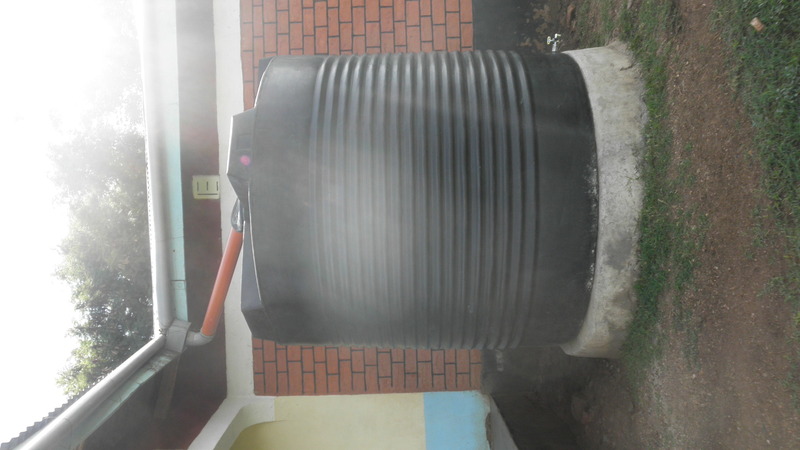 First, I get water from the large water tank right outside of the girls dorm where my house is located. 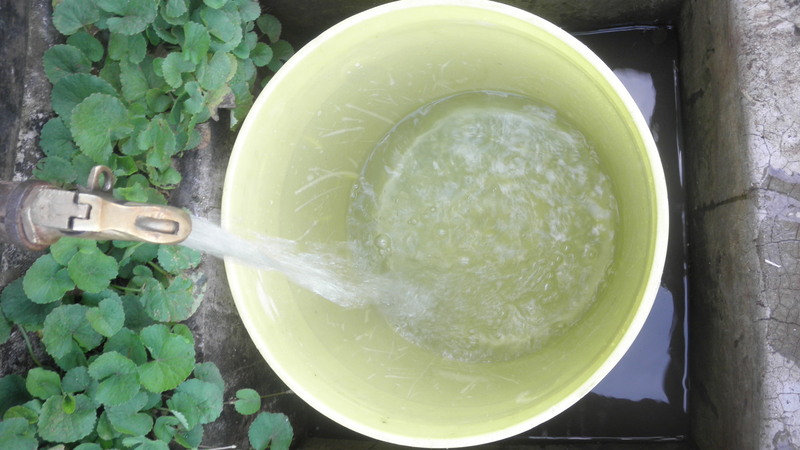 The water tank collects rainwater so I basically bath with rainwater that’s been sitting in the tank for a while. I bring the water inside to my “washroom” which is just a empty room with a small hole for water to drain outside. 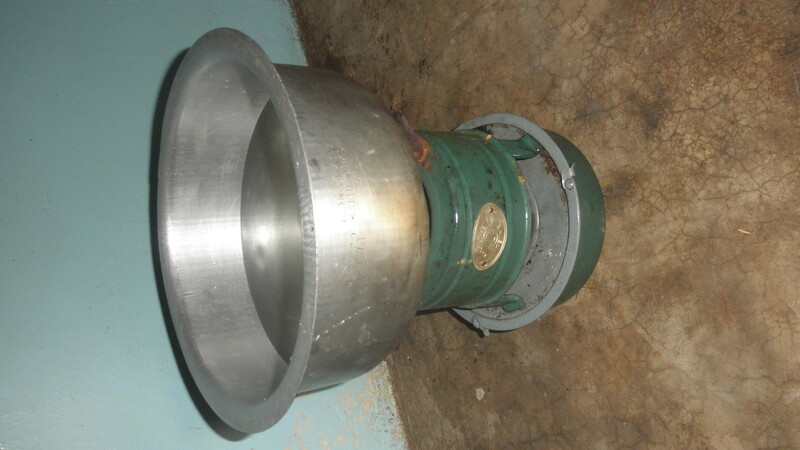 I then boil the water on my kerosene stove that sits on the floor because I never got around to finding a table for my “kitchen” (besides most Kenyans do their cooking on the floor). After dumping the boiled water into my bath basin, I add some cold water to make sure I don’t burn myself with the hot water. I selected this particular basin color and design because it reminded me of a swimming pool. Then I splash water using my hands onto myself, soap up, and splash water again to rinse off. I use a cup to pour water into my hair to rinse the shampoo out. The kids at my school bath with cold rainwater and they bath outside in a semi-enclosed area (no roof). Oftentimes on the weekends, I’ll see the older kids bathing the younger kids out in the field in front of the dorms. 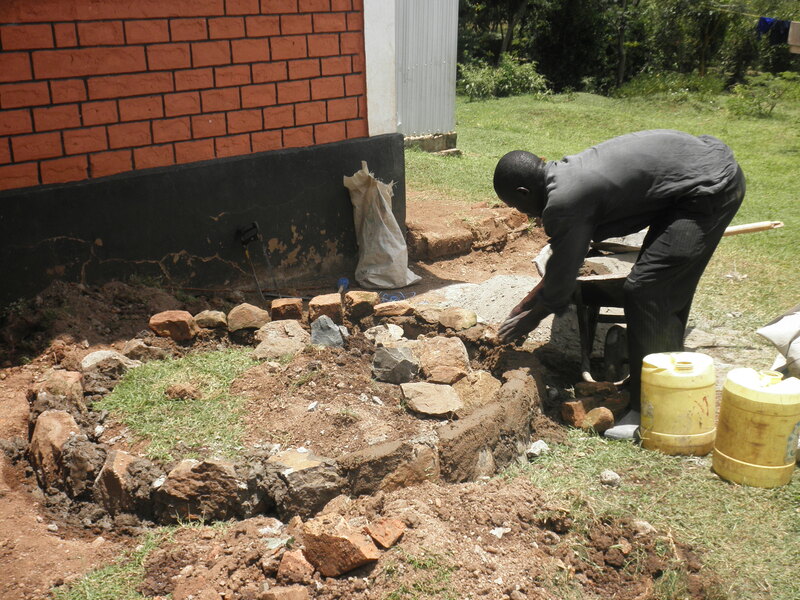 The headmaster and deputy headmaster have a small stall next to a choo (outhouse) that they use to bath in. We’re getting ready to start the 3rd week of the new term yet it feels like we’re still on the first day of school! Kids are still arriving. Schedule has not been established…heck, for a few days I didn’t even know what time school was supposed to start in the mornings. 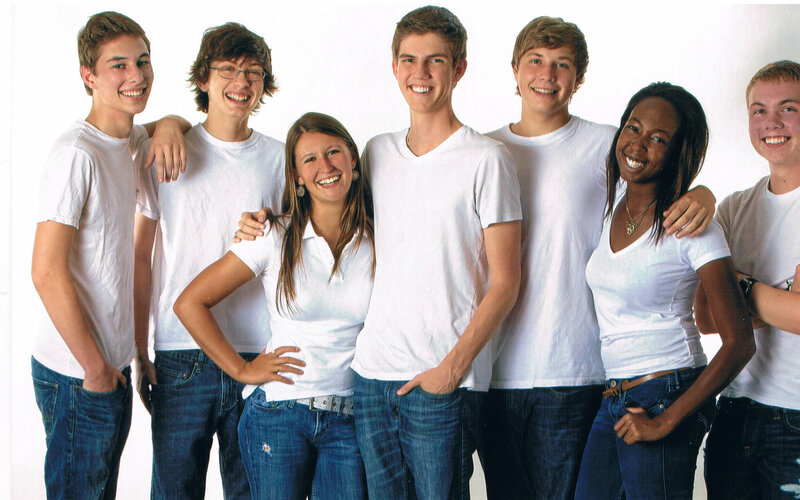 We’re still switching around who teaches which classes. Then there was the Major Parties Election on Thursday which ran into Friday and may continue into Monday due to loss/confusion of where the ballots have been placed. There have been reports of protests and chaos in nearby towns but my village has been quiet. I’ve been keeping a low profile the last few days….. Most schools have been closed due to the elections even though our school is supposedly still open (they hold most elections at schools but not at ours)…most teachers haven’t showed up to teach on those days. I’ve learned to just go with the flow and to be prepared for anything at anytime when it comes to teaching. 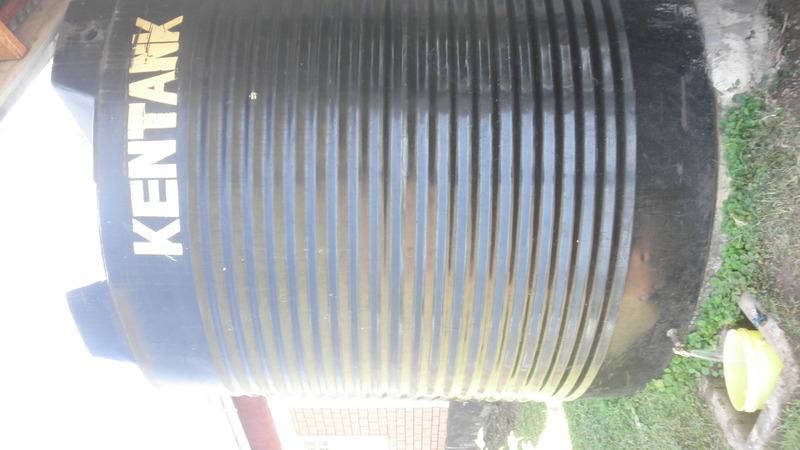 Oh yes, and my Water Charity water tank project is officially completed if you want to check out the site…go here. 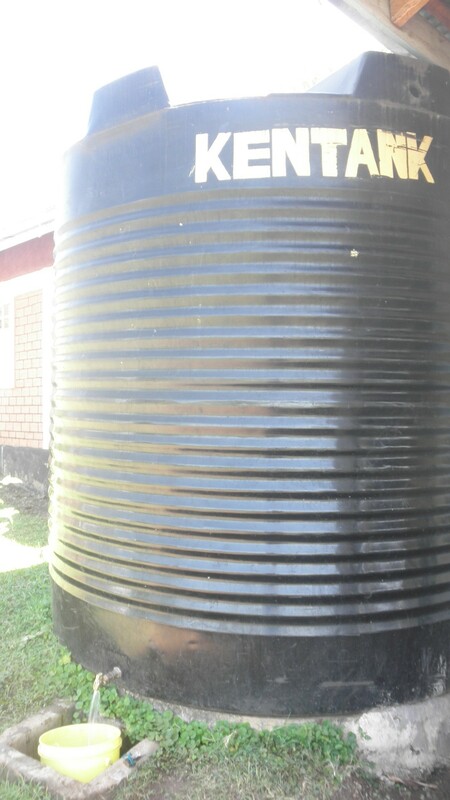 I submitted a water project through Water Charity (awesome organization that funds projects that can be completed for under $555) for a 5,000L water tank to collect rainwater at my school. To read more about my project go to http://appropriateprojects.com/node/1273. 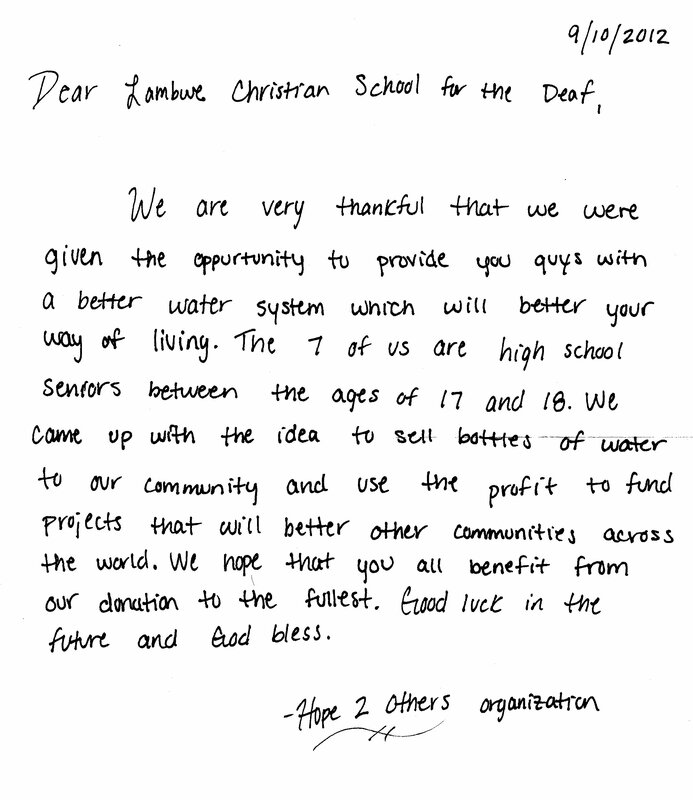 A group of high school seniors in the States saw my project online and sold bottles of water to raise money to fully fund my project. Pretty awesome, eh? I was able to work with the headmistress on this project. She was able to bargain and get some good prices (costs below are in KSH) for the materials. It took a couple of weeks for the tank to be completely installed and set up. There aren’t really any visual signs of Christmas in the village except for an increase in goats and chicken being transported. People usually don’t exchange gifts (unless they’re visiting then they bring a live goat or chicken) or decorate trees. I’m not even sure if they know about Santa Claus. One of the teachers asked Classes 4, 5, and 7 to tell us what they did for Christmas. 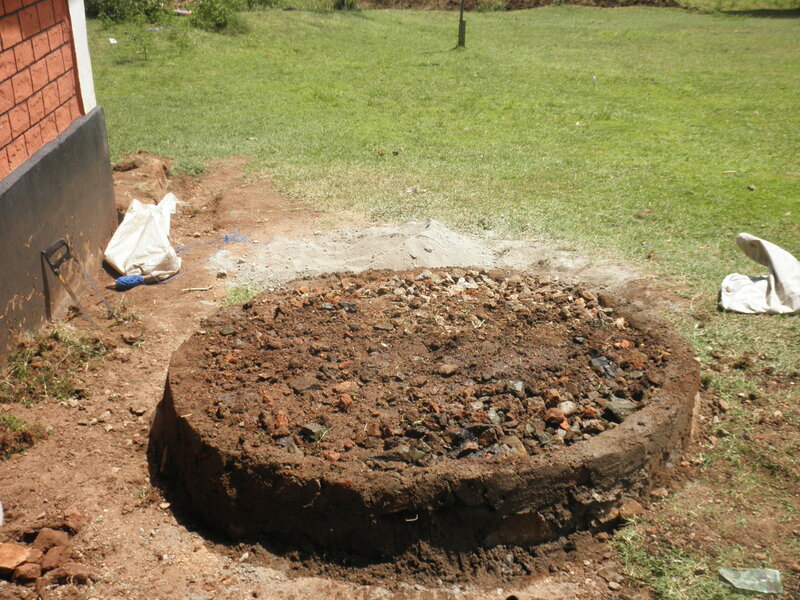 Almost all the kids described their Christmas Day the same way which consisted of them working, cleaning, eating (chicken, goat, or fish with ugali), and going to church.